A public art collaboration with Phoenix-based artist, Christine Cassano. 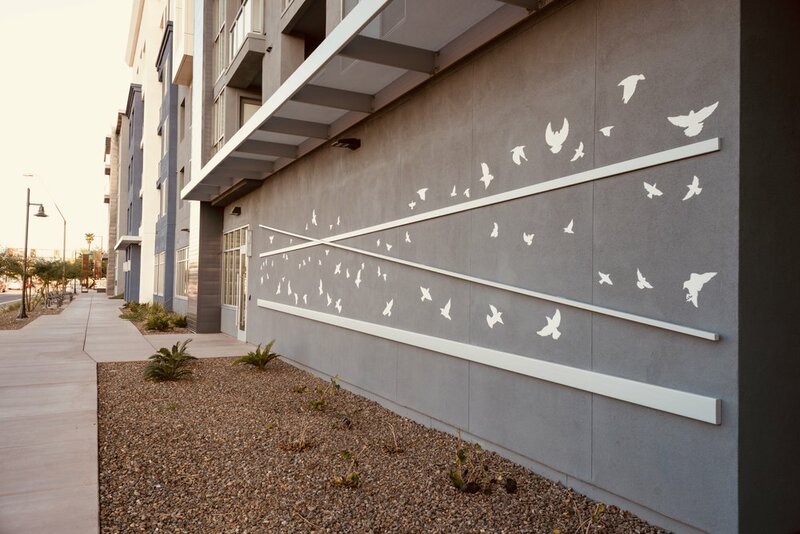 NEXA Apartments commissioned a blend of Strohacker's starling murmuration mural concept with Cassano's hard edge structural design concept for their 100+ foot exterior facade in Tempe, Arizona in 2017. Artists selected and paired by Curator Engine .